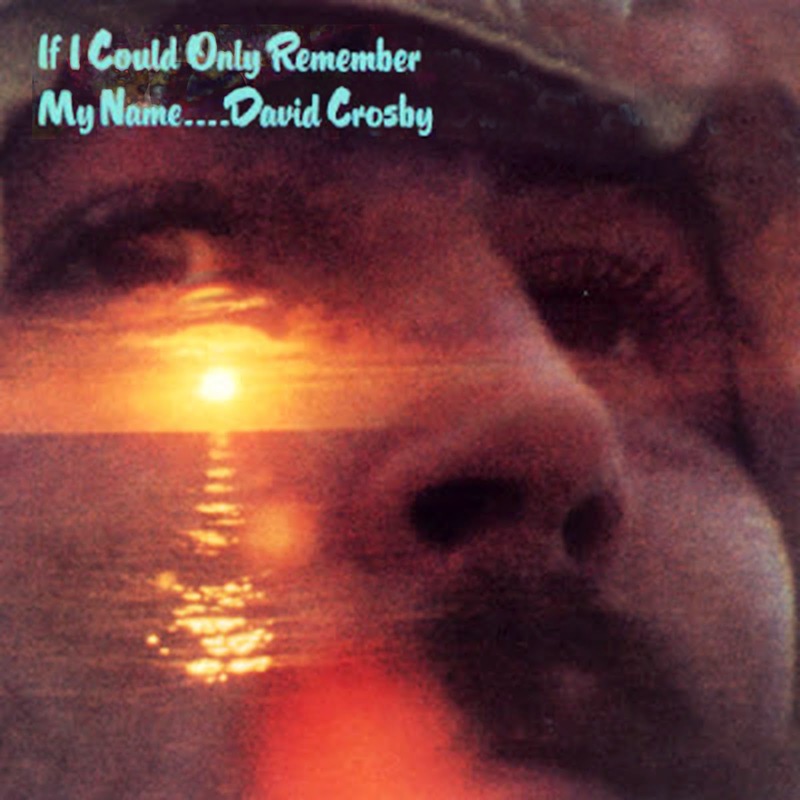 David Crosby’s 1971 solo LP If I Could Only Remember My Name was developed in a time of great emotional upheaval and intense creativity for Crosby and the contributing musicians. Many if not most of the finest San Francisco musician’s fingerprints can be found on the glass of the record. Often referred to as the ‘Planet Earth Rock and Roll Orchestra’ the combination of talents can also be discovered adding their unique abilities to other albums of the era. Jefferson Starship’s Blows against the Empire, Graham Nash’s Songs for Beginners, Mickey Hart’s Rolling Thunder as well as Paul Kantner/Grace Slick’s solo excursions feature many of the same artists. 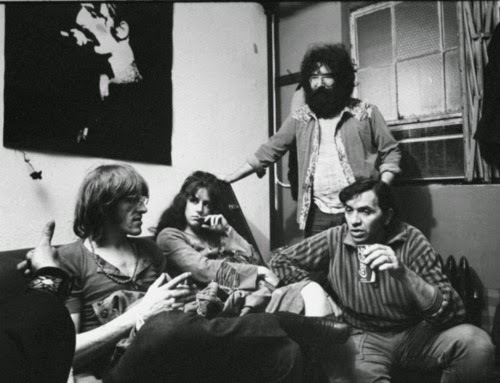 David Freiberg, Neil Young, Michael Shrieve, Graham Nash, Joni Mitchell as well as the members of the Grateful Dead and Jefferson Airplane all make appearances in various combinations equaling some mind expanding and amazing music created in the early 1970’s. This beautiful time in rock history will never be witnessed again, a time where wonderful collaborations and a shared love of musical discovery took precedent over record contracts, royalties and tour receipts. 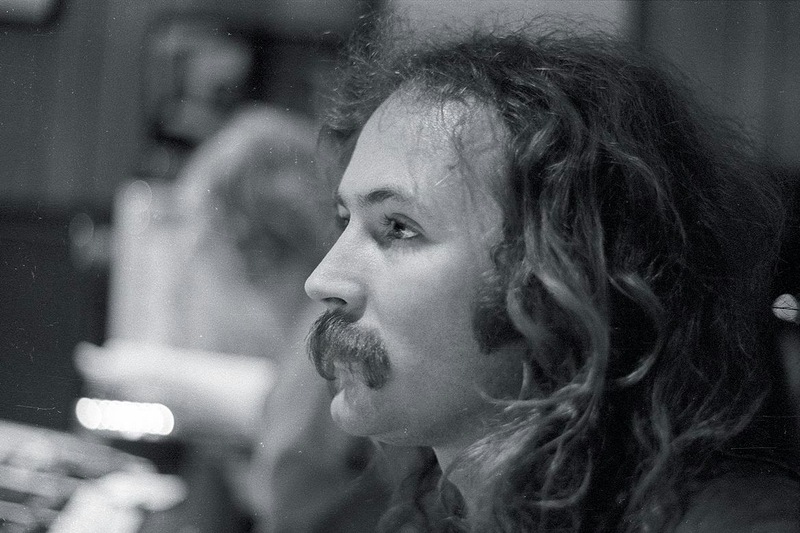 Spinning at 33 1/3 in the rock room today is David Crosby’s 1971 masterpiece If I could Only Remember My Name. Emotionally recovering from the loss of his lover Christine Hinton from a devistating car crash, If I Could Only Remember My Name is the result of Crosby’s escape from depression and his eventual refuge found through music and his friends. The collaborations featured on the recordings did not occur in a vacuum, the relationships were developed early on in the respective musicians careers. Paul Kantner, Crosby and Stills collaborated on the songwriting of the CSN track ‘Wooden Ships’, Jerry Garcia was a ‘spiritual advisor’/producer for the Jefferson Airplane’s Surrealistic Pillow album and David Freiberg, Kantner and Crosby often cross pollinated each others work in the early stages of their careers. The LP opens fittingly opens with the aptly titled ‘Music Is Love’. The song features three of the four principals of Crosby, Stills, Nash and Young, with Stills the only member not appearing. 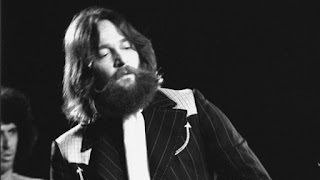 The song encapsulates the pervading attitude of the record with the ‘Music Is Love’ mantra harmonized by Nash and Young while Crosby spreads a soaring free form vocal frosting over the top. Young, Crosby and Nash interweave crystalline acoustic guitars with Young offering his personal rhythm section of bass and congas and a ghostly vibraphone. The campfire vibe song rises weightless like smoke, soaking into the glorious melodic sunshine. The cool night air of ‘Tamalpais High (At About 3) settles in, again featuring the Grateful Dead’s Billy K. on drums and Phil Lesh on bass. 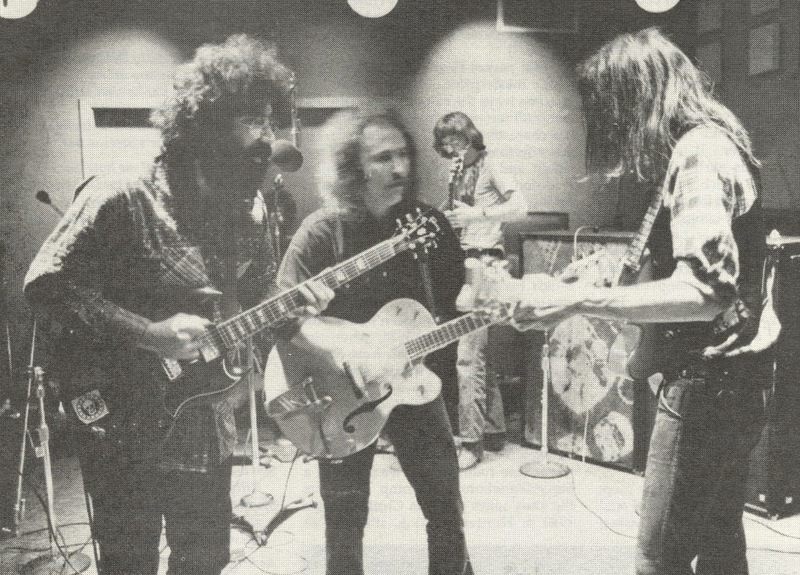 Garcia and the Airplane’s Jorma Kaukonen hold the six strings while Nash and Crosby handle the delicate wordless melody. 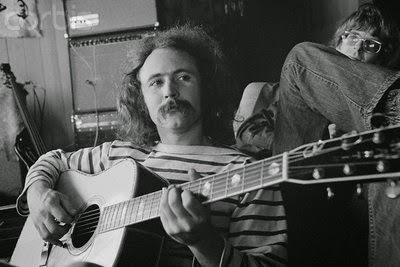 Crosby stated that this song was not really 'received' by ‘CSNY’ so it ended up on his solo record. A quintessential Crosby melody, circular and umbrageous in its design, lyrical content is not required due to the aural portrait conjured by the instrumental and vocal alchemy. The organic blending of Crosby and Nash’s melody lines slither over the morphing jazz groove driven by Lesh’s thumping Alembic bass and Kreutzman’s multiple arms. Garcia and Kaukonen trade virginal clean tone lines over the additively shifty composition. One of Crosby’s most enduring melodies and enchanted compositions, ‘Laughing’ follows and closes the first side of the record. Opening like the birth of a vibrant sunrise, the songs design is again built around the Grateful Dead rhythm section featuring Lesh’s well timed and plump detonations. Crosby’s glistening twelve string strums sparkle like solar rays through rain drops. On top of all of the swirling magic Garcia lays a sleek and spectral pedal steel line that is extremely emotive, acting as its own independent star sailing melody line. The song lyrically is the search for answers and according to Crosby directed to George Harrison and expressed psychedelically through a collaborative chorus highlighted by the smooth styling of Joni Mitchell. Flipping over the LP, the second side of the record begins with ‘What Are Their Names’ a still relevant song that still features in CSN and CSNY set lists to this very day, but now performed acapella. This original rendition is a full band performance constructed around a descending set of changes. Three crisp guitars wrap themselves around a central pole to open the song, Crosby, Garcia and Young gently caressing the songs internal melody. 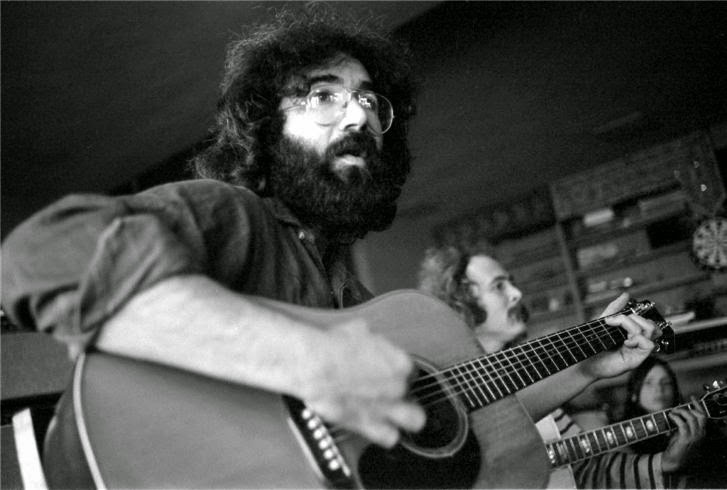 As the drums and bass enter (Shrieve and Casady) the song gains a slightly disturbing and dramatic edge, Young and Garcia’s guitars bite deep. The finger pointing lyrics are sung in huge super group choral fashion featuring but not limited to Crosby, Nash, Grace Slick, Paul Kantner, Laura Allen and possibly Crosby’s brother Ethan. A stunning start to side two and a commentary on the organic creation of the music contained on the record. ‘Traction in the Rain’ follows next and allows time for Crosby acoustic introspection. The drumless melody hangs weightless on woody strums and finds Crosby and Nash on shimmering acoustics and Laura Allen contributing on beautiful and cascading auto harp. Crosby’s vocals are some of the finest on the record and the song would become a highlight of future Crosby/Nash duo performances. ‘Song with No Words (Tree with No Leaves)’ is a prismatic meditation where in a role reversal, the music colors and supports the stunning wordless Crosby/Nash vocal melody. The supporting players act as one swirling instrument enveloped into each other through intent listening. The players cannot always be confirmed on these resulting tracks, but my ear hears, Garcia, Kaukonen, Shreive, Nash and possibly Young on piano. In the ‘rock room’s humble opinion one of the finest tracks on the record. The final two songs of the LP are also wordless compositions. In many ways this increases the emotional effectiveness and melodic strength contained within the numbers. ‘Orleans’ is a traditional French children’s song that lists the cathedrals of France. Of course Crosby arranges it into a strange and weaving mood piece based around overdubbed acoustics and his perfectly stratified vocals. The album closes with the exhilarating and supernatural ‘I’d Swear There Was Somebody Here’. A vocal only movement, Crosby is quoted as saying he was in a good place, high as a kite and experimenting with the echo chamber in Wally Heider’s studio. Crosby sang six different parts developed on the spot, vocally improvised and bringing into existence a masterful representation of his recently departed love. Crosby felt that the creation of this song was initiated by Christine visiting him and/or making her presence known to him during the song’s genesis. Something is definitely happening during the brief apparitional and aural experience. This song epitomizes what this music is all about, remembering, feeling, expressing and being in the moment. The track is a fitting conclusion to the record and inspiring statement of Crosby’s talent and the towering importance of the record in the pantheon of rock history. Nice writing on one of the most beautifully psychedelic albums of all time. I heartily concur with ya, its a masterpiece and easily Crosby's best work, IMO. Where did you find the details of who played what on each track? I've spent some time guessing, but never had any of my guesses confirmed, really. Thanks for reading and your comments! I made some educated guesses like yourself on some tracks. Other tracks I gained information from the available PERRO bootlegs as well as various Grateful Dead books where there personal contributions were outlined. "There are also a multitude of outtakes of the sessions available for those willing to search"
Great post & web site (I just found your blog). I also really liked your piece on Tim Buckley's Happy Sad. I saw Tim many times, and loved all his different phases. I seem to have a great many of the above discography. Thanks for commenting Bob and for the info! I wish I could have seen Buckley live. Now I just wait for the time machine.